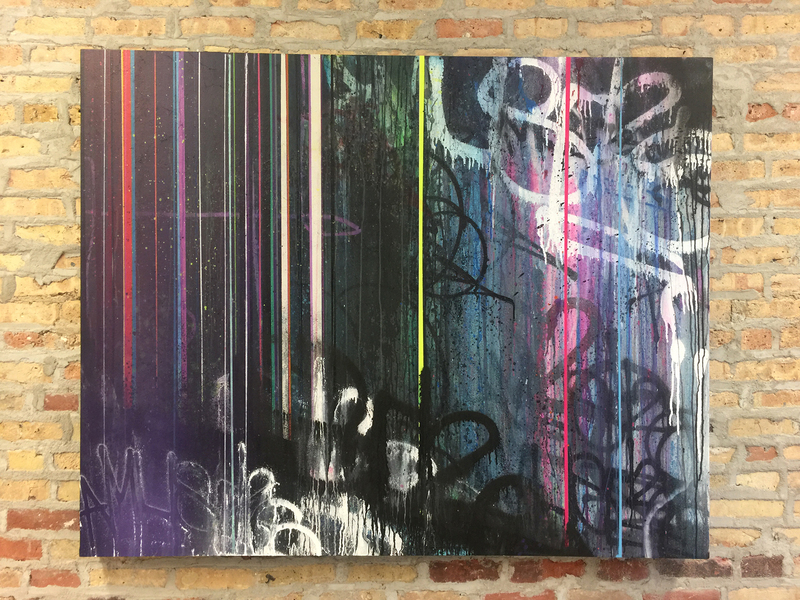 Chicago IL, USA has some tough laws against graffiti and the supply of tools to make it. If you consider this, then any fresh artists coming out of “Chi City” have most probably fought an even harder battle to become the great artists they are. This is definitely the case with AMUSE126 who ironically is no stranger to Montana GOLD and Montana BLACK cans. An innovative writer with more techniques, tricks and designs in his folio then most writers will ever discover in their whole careers. Making graffiti, fine art and abstract art mould into one beautiful entity is what AMUSE126 does best. With most pieces featuring a multitude of styles, no color, line or connection is safe. This self taught writer/artist, is backed by fierce determination and the drive to push himself into creative realms that he himself is not even aware yet. His graffiti world is one where modernity shakes hands with traditionalism. His eye for the classic fundamentals of graffiti are always the firm base to take the path somewhere new. Be inspired here.